The bandsaw is without a doubt one of the most useful and versatile pieces of equipment that any woodworker can have. This is mainly due to its ability to cut deep sections as well as curved and straight lines. 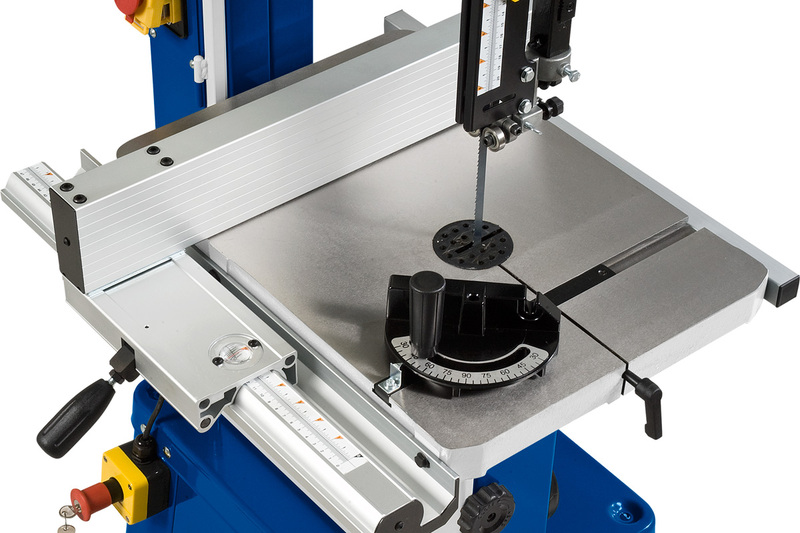 Taking up minimal floor space and with a vast range of blades available, the bandsaw is an indispensable asset. 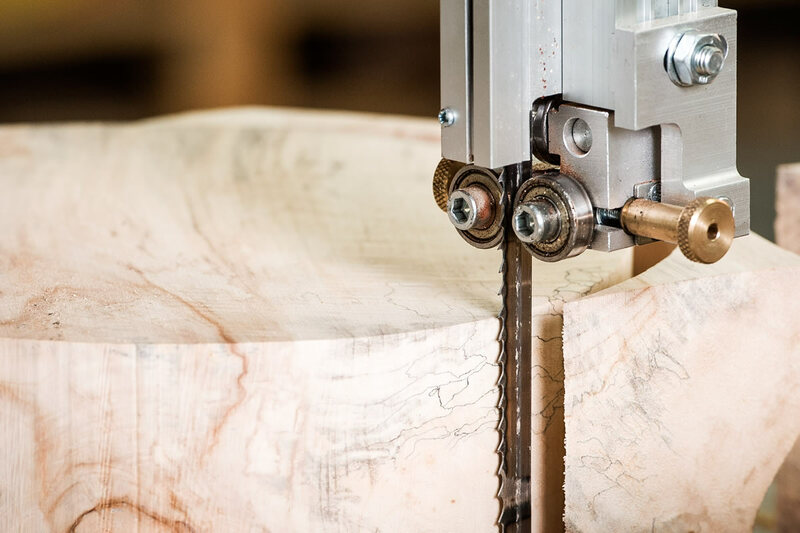 The ability to rip, cross-cut, resaw, cut wafer thin veneers, tenon cheeks, bevels, curves and even circles makes the bandsaw the most versatile machine in the workshop. Axminster offers a wide variety of machines, so it can become a little confusing to decide what’s best for you. 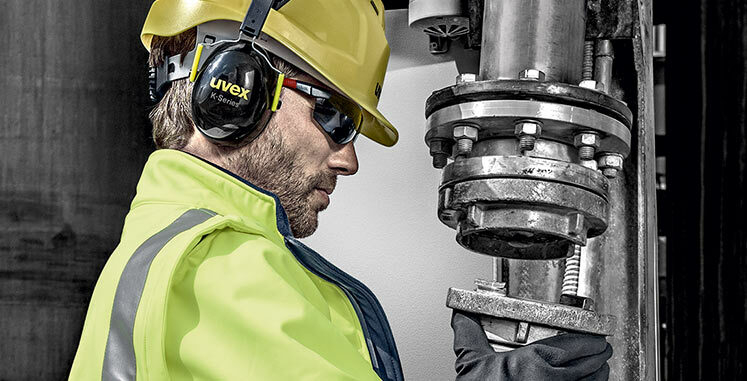 Each user has their own set of requirements, which could mean that one machine may be more suitable than another. 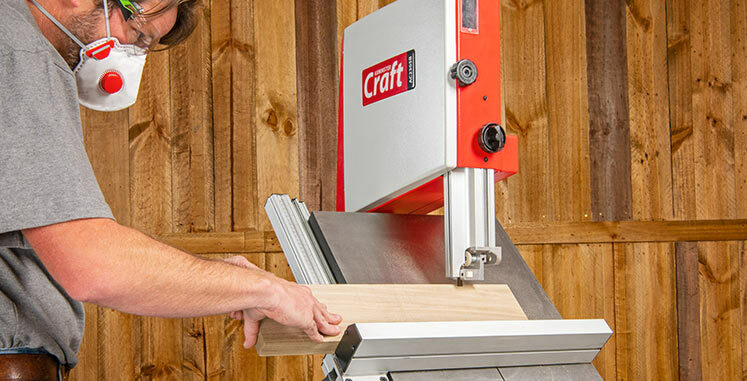 A furniture maker may need a bandsaw with a high fence, large depth-of-cut and powerful motor. 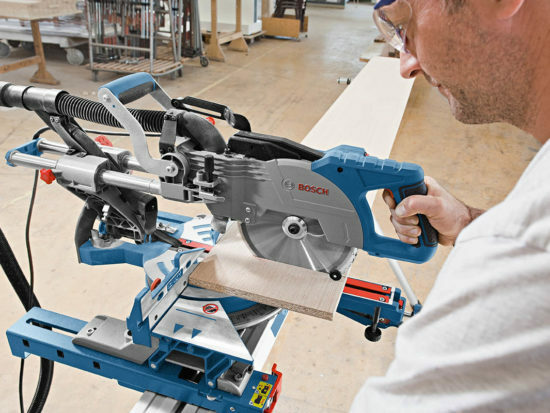 To be suitable for tasks such as re-sawing or cutting veneers. 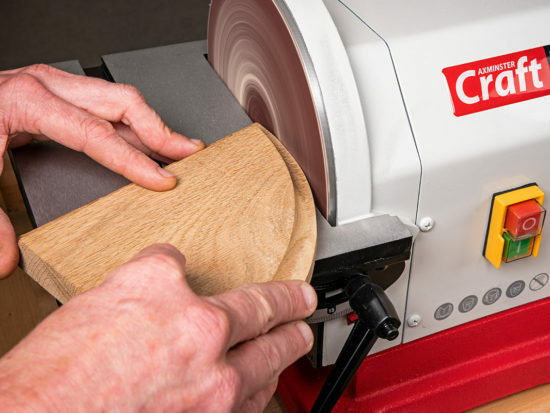 A turner may wish to cut bowl blanks where the ability to fit and track a narrow blade is more important. Equally significant is a solid table, with an adequate width and good blade guides to counter sideways pressure. The bandwheels are the mechanism by which the power of the motor is transmitted to the blade. Wheels should be well balanced to minimise vibration and for accurate blade tracking, a good quality tyre needs to be fitted. Smaller or Hobby rated machines usually have cast alloy wheels balanced by hand. Larger capacity Trade or Industrial bandsaws have dynamically balanced alloy iron or cast wheels, which are made using sophisticated industrial machinery. The ‘flywheel effect’ offered by cast iron wheels improves cutting performance as well as damping out vibration. They are also better able to withstand the tensioning forces of larger blades. Modern bandsaw frames are universally made from folded, welded sheet steel. This provides an immensely strong and rigid framework to withstand the stresses created when the blade is tensioned. Were the frame to be of insufficient strength it would distort under load, pulling the top and bottom bandwheel boxes together. The vertical spine on many of the bigger Axminster machines is triangular in section, making it very stiff whilst the bandsaw boxes are reinforced with additional webbing to increase rigidity and strength. In addition, the gauge of steel used on Trade and Industrial machines is significantly thicker than the Hobby range. 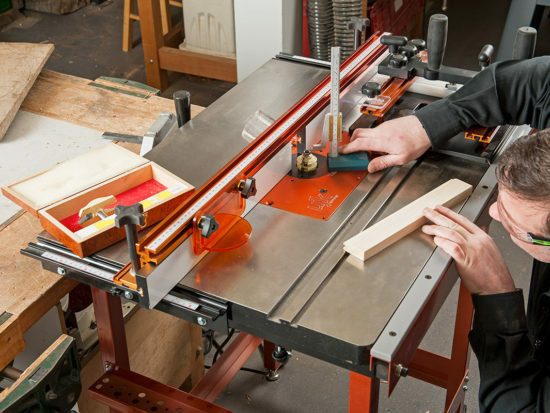 This is undoubtedly one of the most important aspects of any bandsaw. If the blade isn’t tensioned properly, the saw won’t be able to consistently produce straight and uniform cuts. It is the spring that tightens the blade and a tensile force of up to 20,000 psi can be applied to the blade when it’s tensioned. 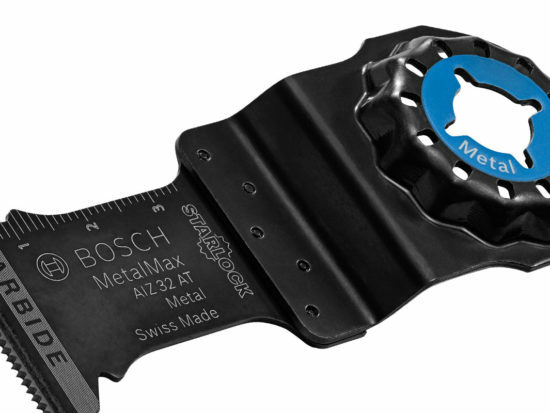 This can go up to 30,000 psi if using a bi-metal blade as they are much stronger than ‘stock’ blades. The frame of the machine must be sufficiently strong to resist this force and not distort under pressure. All Axminster bandsaw tables, from the smallest Hobby machines to the largest Industrial saw, are made from cast iron. Not only does this material provide a smooth, flat surface but also the large mass helps absorb vibrations in use. All tables are mounted on robust trunnions and can be tilted from -5˚ – +45˚. This ensures that the blade is easily set at 90˚ to the table surface and the trunnions allow it to be tilted and set to any angle up to 45˚. The largest in the Industrial range have a handwheel operated, rack and pinion mechanism to adjust the table, the result of which is to enable the angle to be set accurately, even one handed! The main purpose of the blade guides is to prevent the blade from twisting during a cut. 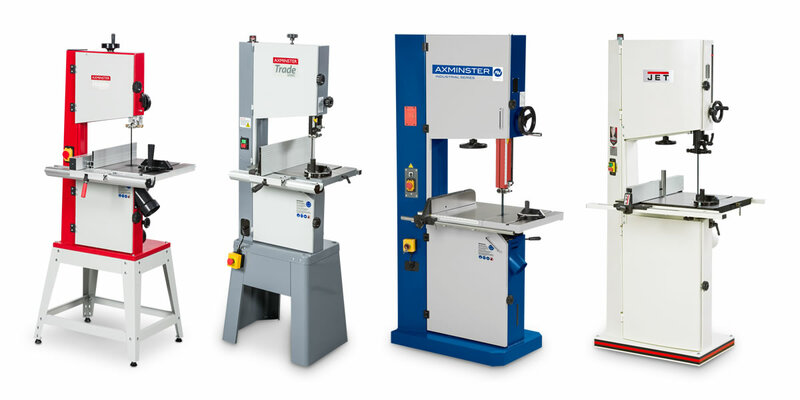 All Axminster bandsaws except the entry level Hobby Series use a pair of good quality ball bearing blade guides both above and below the table. These can be easily adjusted so that they just make the barest contact with the blade. A transverse thrust race bearing will also be found at the back of the blade, both above and below the table. This should be adjusted so that it’s clear of the blade by the thickness of a thick piece of paper. The ball bearing guides will also need to be adjusted when a thicker or thinner blade is fitted into the bandsaw. The fences on Axminster machines comprise a substantial extruded bar complete with a magnified scale lens, which makes accurate setting of the fence to the blade measurement a breeze! Onto this is mounted a deep, rectangular section aluminium fence which can be securely locked in place with a lever. A rigid fence is crucial for accurate, straight cutting whether producing veneers or tenons. Equally important, the fence should be adjustable to ensure it is square to the table and blade. 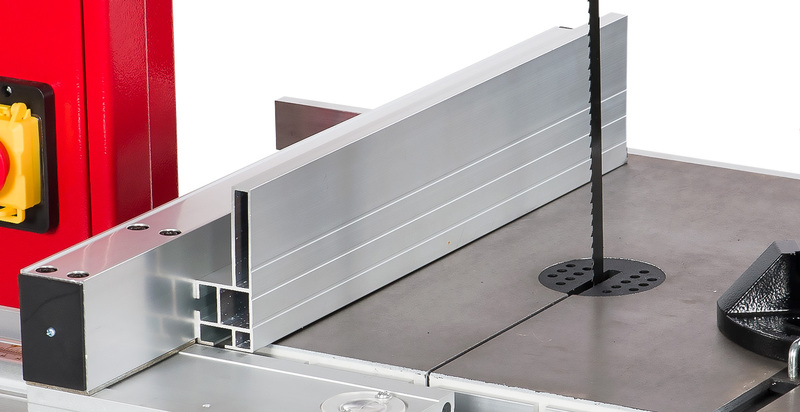 Use the UJK Bandsaw Buddy for a quick and easy way of getting your blade, fence and table aligned. The motor is the heart of the machine and should always be considered when buying a bandsaw. It must be adequate for all intended tasks, particularly deep sawing. If not, the lack of power could cause the blade to slow down or stop. 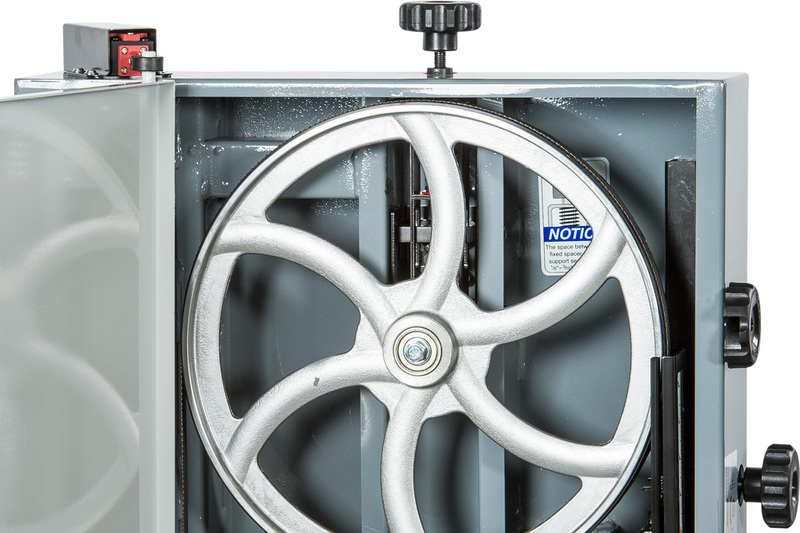 All Axminster bandsaws use fan cooled induction motors, that are quiet and efficient. Trade and Industrial machines take that to the next level with DC induction or electro-mechanically braked motors. These will stop the blade within 10 seconds, conforming to educational and workshop safety standards. 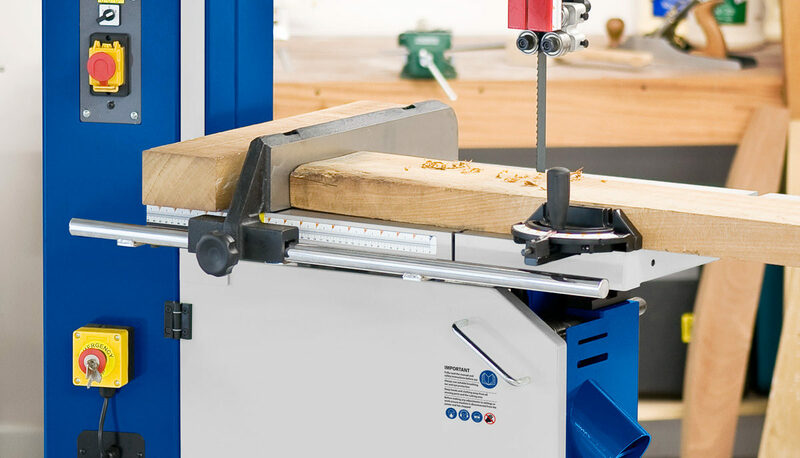 A bandsaw is a key component of any wood workshop, some might say the first machine you should purchase. 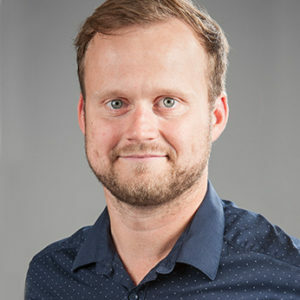 When buying one, you should consider the jobs that you will be completing as well as how much you will be using it and then look to match them to these features to find the right saw for you. As with many saws, it will only be as good as the blade you put in it. To make sure you get the right blade, this Axcaliber blade guide should help.